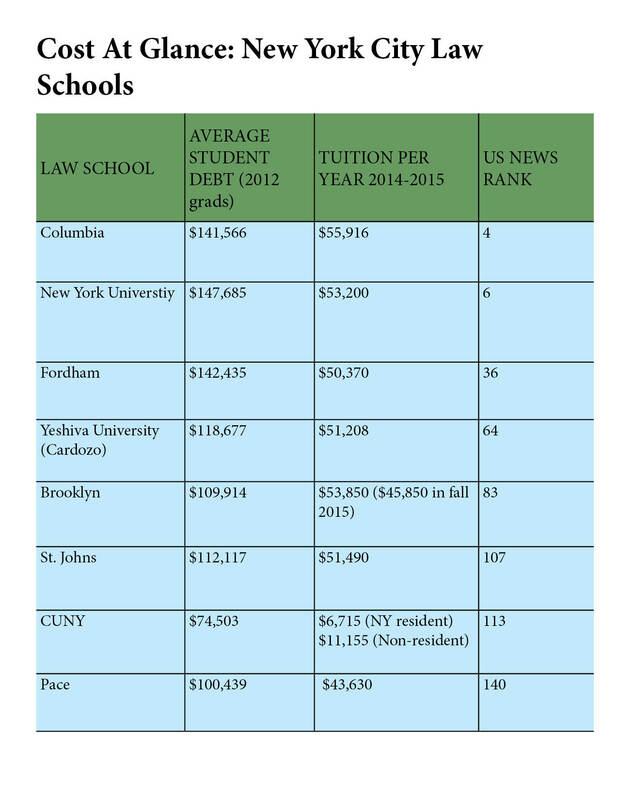 You are at:Home»Archive»Which New York City Law School Just Got A Price Cut? Which New York City Law School Just Got A Price Cut? Brooklyn Law School recently announced a 15% percent cut to tuition. Although Brooklyn will maintain tuition at its current level of $53,850 a year for the class entering this coming fall, next year’s tuition will decrease to $45,850. That’s not all Brooklyn is doing, however: they are also increasing need-based aid, decreasing merit aid, and they claim that LSAT scores will no longer factor in their decision to award merit aid. Brooklyn Law’s professed goal is to break the cycle of heavy spending, which law schools do largely to chase after high rankings in the US News and World Report “Best Law Schools” list. Seeking a higher ranking has been the main driver in soaring tuition prices over the last couple decades. A huge part of that has been spending on “scholarships,” merit aid to attract students with high numbers. While the New York Times is lauding these changes as a “bold bid to combat a crisis in legal education,” the moves are unlikely to result in a seismic shift in law school practices. It’s unclear even if students at Brooklyn will be paying less overall, though I suspect they will be because Brooklyn took some cost-cutting measures, selling real-estate assets and cutting staff salaries. These difficult and possibly painful moves illustrate the problems that inhere in adjusting tuition cost, as much of law schools’ operating expenses come from paying professors and staff. Brooklyn likely had no choice but to reduce merit aid somewhat to make the change. For those who can’t obtain admission to NYU or Columbia, I am adamant that CUNY is generally the next best option for those determined to stay in New York City. CUNY is the school that is really bucking the system of sending dollars after rankings, and yet, their soaring rank in the past several years indicates that low tuition does not equal low rank. A more reasonable price tag attracts quality students. I expect CUNY to outperform its competitors in the coming years as cost becomes a leading consideration in student’s decisions. Next Article How Long Is The LSAT? It’s certainly nice to see an affordable law option in NYC, Evan. CUNY is an attractive option for many applicants. In your estimation, how does CUNY stack up against the other public option for NYS residents, the University at Buffalo? Is it still, in your estimation, the best bet? I’m interested in both schools, and I’d love to hear your feedback. Thanks!